Floating a title is often referred to as title jumping. Basically, it’s when someone doesn’t assign the vehicle title properly after a sale. Instead, the title remains open and isn’t signed or dated by the buyer. Sometimes it’s also called title skipping, but no matter what you call it, it’s wrong. In fact, in some states it’s a felony. Aside from that, it often leads to headaches for the previous and new owners of a car. Here’s why. How Does Floating a Title Work? When someone floats the title, they get the seller to sign off on their part, but they leave a blank where they should fill in their name as the buyer. They also leave the date blank. Of course, not all sellers will agree to let this happen, but we’ll get to that in a minute. The buyer is now able to resell the car without getting a title transfer. This buyer never gets put on the record of ownership. Instead of paying sales tax when they transfer the title, they simply neglect to record the sale at all. That’s not good. When they go to sell the vehicle, they just have you sign the title in the buyer section - where they should have signed. Of course, a lot of states have rules about this process. The trouble is there’s very little enforcement, so many people participate in floating titles. Some states require that you get the title notarized when buying it. This reduces the chances of floating a title, but also means you have to wait weeks before you get a new car title. Of course, in states like California and Hawaii, new buyers get the title the same day so it makes flipping cars much easier. If you title jump a vehicle without first transferring it into your name, you put yourself at risk. Many states require that you transfer the title into your name within so many days. Even if it goes beyond that time, you’re still expected to transfer it. If you decide not to transfer the title at all before you sell the car again, you were never actually the legal owner of the vehicle. Potential risks include fines, penalties and jail time. It’s just not worth skipping out on the sales tax and registration for the price you could pay in the long run. If you can’t find the original titled owner, which is common, then you have an even bigger mess. You are stuck trying to figure out what to do with the title – unless you use Title Gods. I’m a Victim of Title Floating – Now What? If you are buying a car and realize the seller’s name isn’t on the title, run as fast as you can. If you already signed without understanding what happened, then you do have some options available to you. If you purchased from a private seller, the best course of action is to have them transfer the title into their name. Then, they can sign the title over to you. Of course, if they were willing to do this, it probably would have been accomplished already – but it doesn’t hurt to ask, perhaps a little firmly. If you purchased the car from a dealership, it’s time to file a claim against their business so they don’t continue to do this to customers. Of course, you always have the option to ask for your money back. This would avoid any headache at all, but you would have to go right back to buying a car again. If these options won’t work, there’s also the chance you could get a bonded title. This isn’t a solution for everyone though, so make sure you talk to us before doing this. Finally there’s the possibility of taking legal action, but you need to be prepared to spend more money and lots of time. Overall, most people don’t go this route because of those factors. When you are buying a used car, there are some ways to protect yourself. As much as you want to believe that people are good, you have to realize the world has plenty of schemers and scammers out there looking to take advantage of you. Before turning over any money, ask to see their ID. Then, compare it with the title to ensure they match. If they don’t, or the person isn’t willing to show you, then you need to walk away. Don’t just believe their story about the title. You’ll hear it all – that they are selling it for their sister or their brother’s cousin’s aunt. What you don’t know is that you might be purchasing a car with a lien, salvage title or even worse, one that’s been stolen. Any of these scenarios will bite you in the long run. Don’t be afraid to walk away from the deal. Most car buyers aren’t looking at rare exotic vehicles, so it’s likely there’s another one for sale right around the corner. You might think it’s a good deal, but what will you have to pay later? Put in a little extra time to find another car and save yourself the hassle. Nothing gets our blood boiling more than seeing someone get ripped off. Our title specialists are committed and dedicated to helping people every day in situations similar to this. The best thing we can recommend is that you use our VIN check. This helps you to purchase a car with confidence and ensures nothing is wrong with your vehicle. Our VIN check shows when there are theft reports or liens on the title so you can walk away from the sale. All we do at Title Gods is work with title recovery issues. We are experts in the field and have encountered every situation you can imagine. If you find yourself dealing with the fallout of floating a title we are here to help you. Consult with us and we’ll help work out your title issues. Are you purchasing a used vehicle? 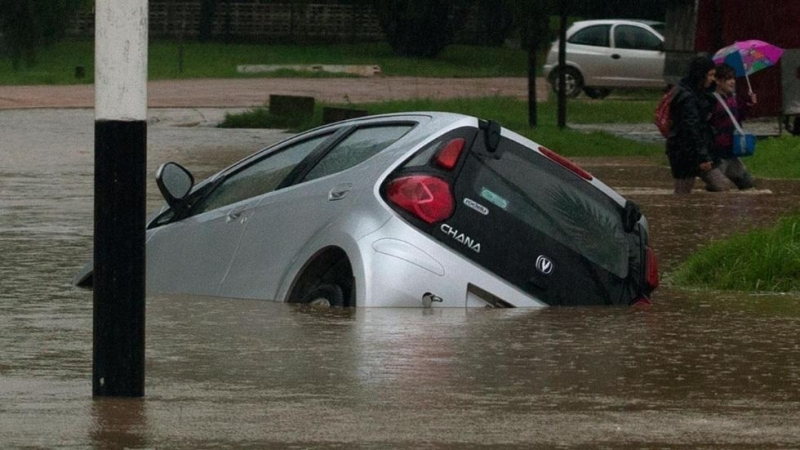 Make sure you don’t accidentally buy a flood-damaged car. Find out what mechanic’s liens are and how scammers use them to steal people’s cars. Are you in the market for a used car? Make sure you don’t fall into the Minnesota Title Loophole trap like many others. What if You're Caught Driving a Stolen Car Without a License? Are you thinking about driving a stolen car without a license? Read here to see what could happen if you’re caught. It's Possible to Get Out of a Car Title Loan. Here's How. In a jam with a high-interest car title loan? Get out now before it’s too late. Many sellers participate in floating a title. Take steps to make sure you don’t become a victim. Protect yourself from Curbstoning, the dreaded scam that’s more common than it should be.